evidenced here, here, here, and the list goes on! The truth is, the versatility of a denim shirt is ba-freakin-nanas. you feel me??? Nuff said. Como me gustan las camisas vaqueras, yo tengo dos y las uso mucho. Such a good post! I do love the versatility of these shirts. I have three denim shirts - they are just so comfy!! I just posted a pic on my blog of me wearing mine too. I like the idea of adding a bow - might try that next time! Adore this, and love all of your examples. I got a denim shirt recently but it's SO hot in Florida right now it's hard to wear. Can't wait for September temps to make it my go-to. 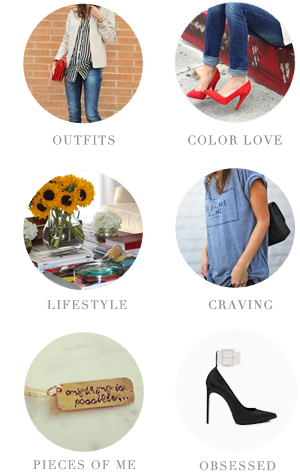 I am with you-obsessed with denim! Denim is and will always be a keeper! And yet the Hubs doesn't understand why I need multiple...boys! Loving the denim shirts cant get enough! You had me at Canadian Tuxedo. Agreed! 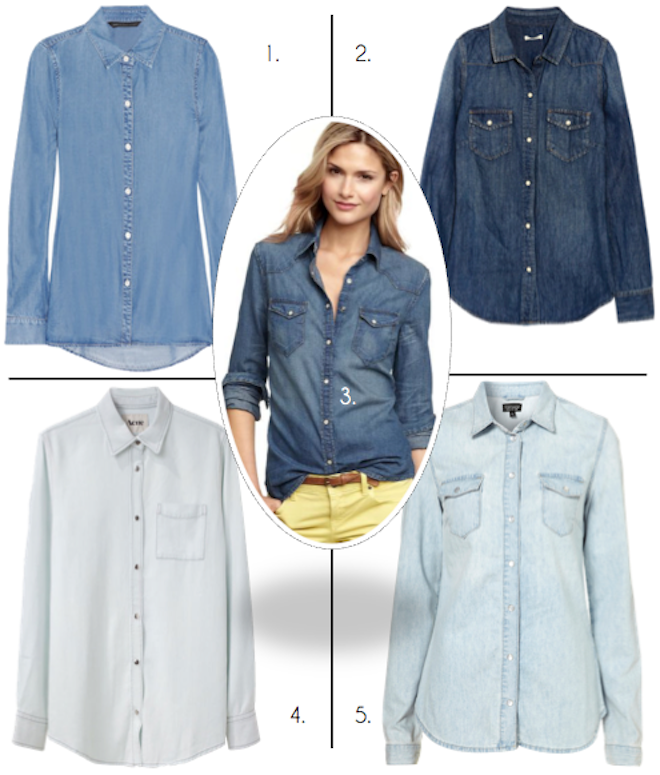 A denim shirt should be a closet staple in any woman's wardrobe. Great picks! I just picked up one on Friday and am so excited to wear it this week! 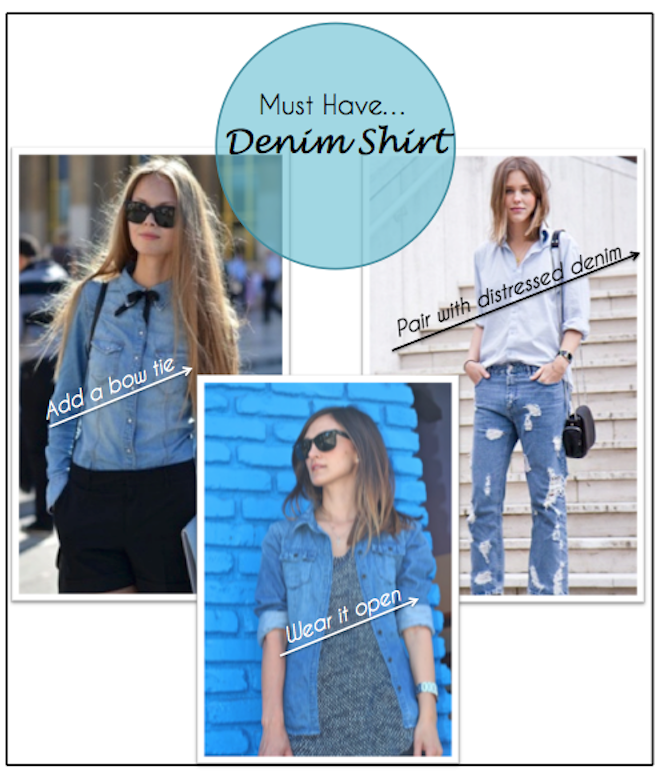 You nailed it, a denim shirt is an essential. Love how you use it in so many ways! Yes, I bought a Trouve denim shirt and I love it! And the great thing is that They get better with age! Love the gap one. I love denim button-ups! I've actually been looking for one in a dark wash. Not so easy to find. I have been dying for 1.. I want #3 and #5 stat. Love them all, need them all! !